The Samsung Galaxy Note 4—and all other Note phones and tablets—come with the unique S Pen. This is more powerful than a regular stylus. It is more precise, more accurate, and is crammed with tech that makes it smart, too. There’s a handful of apps installed on the Note that work with the S Pen, but there’s plenty more you can download from the Play Store. We’ve rounded up our pick of the ten best S Pen apps you can download today. The S Pen, at its heart, is a drawing and writing tool, and some of the best apps are in this category. 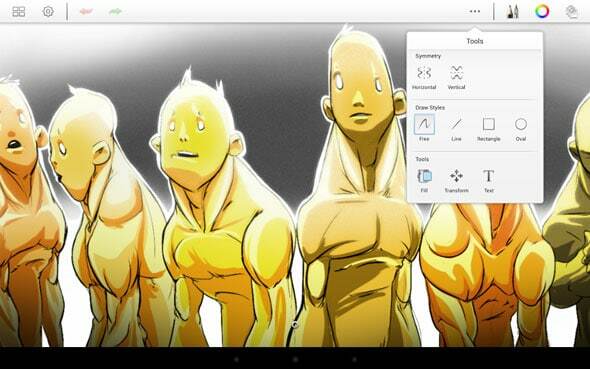 SketchBook Express is a powerful and popular drawing app capable of handling quick doodles or professional quality artwork. 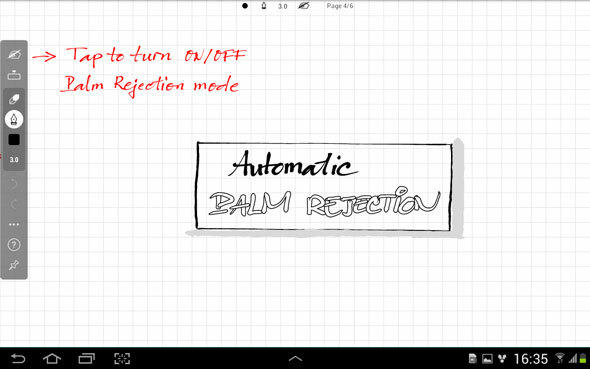 The greater precision you get from the S Pen makes it a far more useful tool than a standard capacitve stylus. The interface is easy to follow, and you can upload you finished masterworks to DeviantArt in a second. With its near six-inch display the Note 4 is almost at the point where it can be used in place of an old fashioned notepad and pen. With INKredible this comes a step further. With its distraction-free interface—there’s no controls on screen most of the time—you are free to write and sketch away. Everything you produce is converted into a vector graphic, which makes it easy to enlarge, and is able to be printed at the highest quality, should you find you need a paper copy of your notes after all. 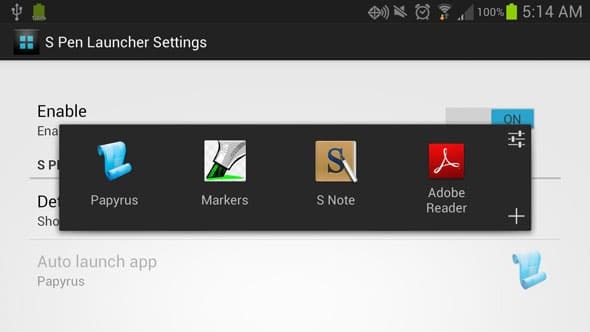 S Pen Launcher is an app that automatically assigns functions to your S Pen. Pul the stylus from its housing in the bottom corner of your Galaxy Note and S Pen Launcher will pop up a little window containing shortcuts to your favourite apps. Or, if you find you use the same app all the time, you can set that app to launch whenever you grab the pen. Pop the S Pen back in its holder, and it’ll close down once again. 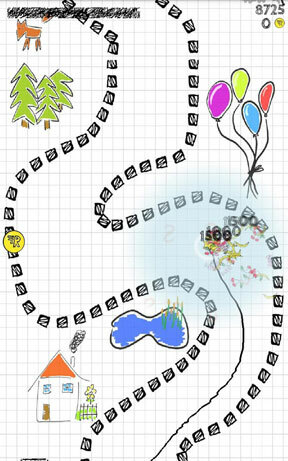 There aren’t many games that make use of the S Pen specifically, but Scribble Racer is fun enough to keep kids (and a few adults) entertained on long car journeys. This simple racing game requires you to hold the S Pen on the screen and guide it through the course as it scrolls down. With a attractive hand-drawn style, it’s fun and packed with charm. There’s plenty of gameplay too, with several difficulty levels and dozens of achievements to unlock. For more advanced users—your Note needs to be rooted—GMD is a highly configurable app that turns your S Pen into a handy app launcher. The idea is simple. You can assign gestures to the S Pen that launch apps or perform tasks whenever you do them. 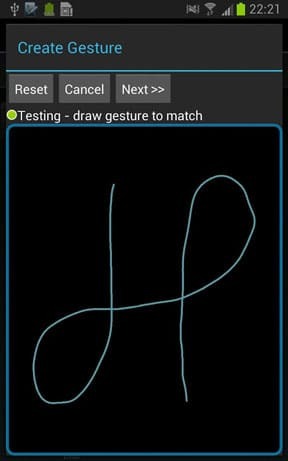 These gestures may be things you draw onscreen—draw a circle to launch Google Maps, for example—or things associated with the pen itself, such as removing it from its housing or pressing a button. For power users, SPen Control can completely overhaul your system, significantly reducing the number of screen taps and button presses you need to perform common tasks and launch your favourite apps. Microsoft’s OneNote is one of the best note-taking apps for Android. 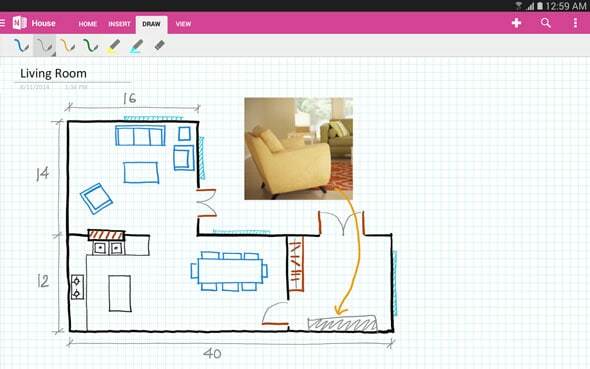 It includes an excellent drawing feature that enables you to integrate sketches into your typed notes. This is where the S Pen really excels, and helps you create professional looking documents directly on your phone. Snapseed is one of the leading image editing apps for Android, and though it’s not an obvious one for the S Pen, it does benefit from the accuracy of the pen’s input. Snapseed provides the full range of editing functions, and they can be used on entire images or specific parts of a shot. In the latter instance you pick the spot you want to edit and move the sliders to adjust things like colour and contrast. With the S Pen you get greater precision over picking colours or specific areas of an image, giving you the kind of control you’d normally only get on a desktop. VirtualTablet is one of the more innovative uses of the S Pen. It turns you Galaxy Note into a wireless tablet for your PC. You need to run a desktop app to make the connection with the phone, and it is available for both PC and Mac. 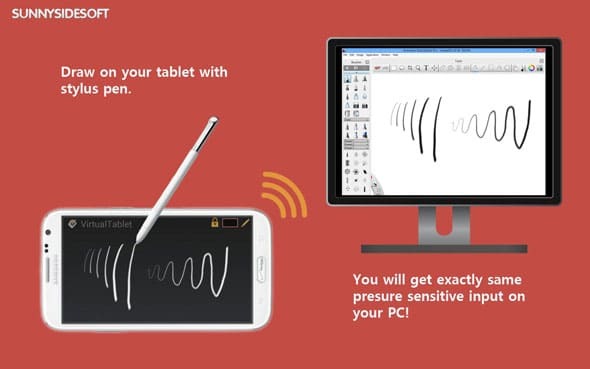 Once you’re connected you can use your S Pen on the Note, and draw in apps like Photoshop on your desktop computer, just as you would with something like a professional-grade Wacom tablet. It also doubles as a remote mouse, and can be very useful for controlling presentations on a bigger screen. It’s still relatively early days for this app, which is still in beta, but MyScript Stylus could be a big app for the future. It’s a handwriting recognition tool that allows you to write in (reasonably) natural handwriting and will convert it to printed text. Unlike older systems there’s no need to write one word at a time either, the app will recognise entire sentences. 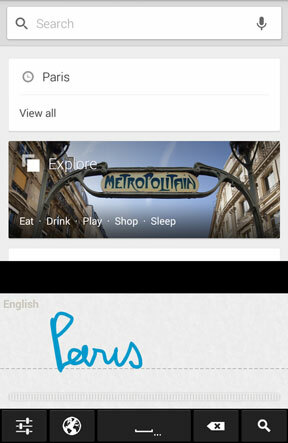 With 63 languages supported MyScript Stylus is already a powerful addition to what the S Pen can do. 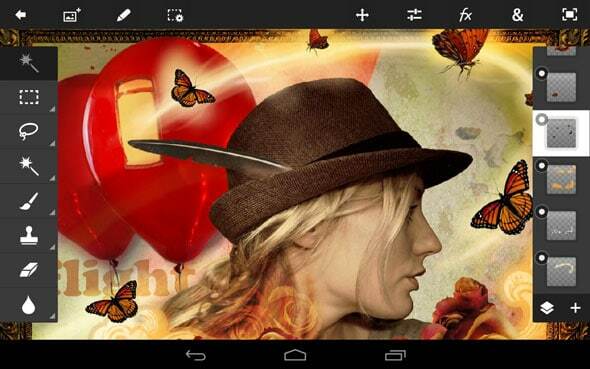 The most expensive app on our list is fast becoming the standard for professional image editing on Android devices. It contains so many of the features that you see on the desktop version of the program, while the ability to use S Pen during your edits only gives you more control over the work you are doing. The app integrates seamlessly with the Adobe Creative Cloud, and supports layered PSD files from Photoshop CS6 or CS5.1. Probably overkill for many users, but for pros this is still the default choice.